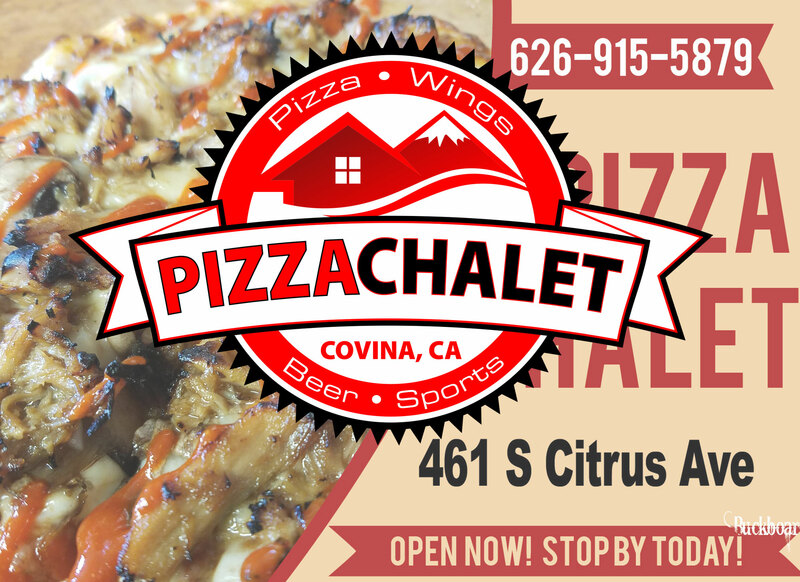 Whats New At Pizza Chalet, 461 S Citrus Ave, Covina, California, 91723. 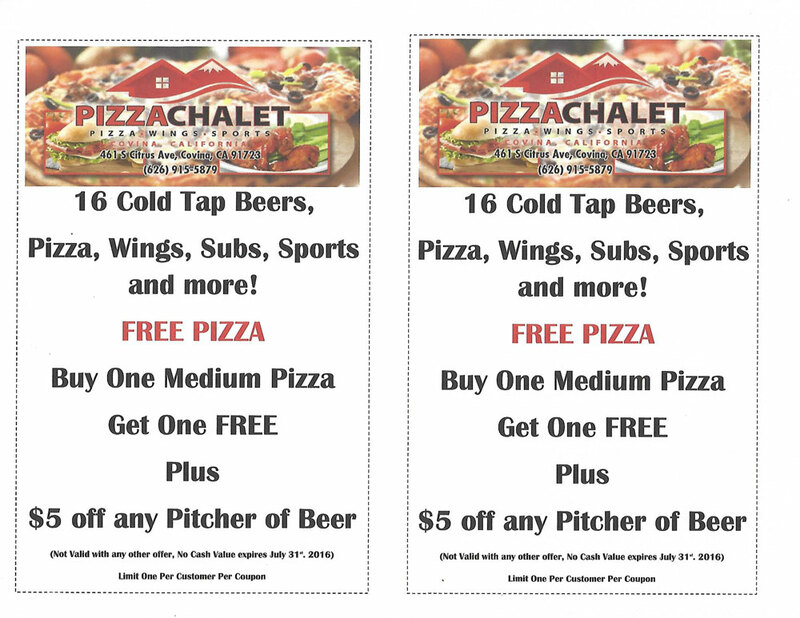 Join Us For Pizza, Wings, Beer and Sports. Family atmosphere for teams, friends, birthday parties, banquets and more. Community active with youth sports and high school sponsorship. 7. New style pizza sauce to compliment the old style staple Pizza Chalet sauce. 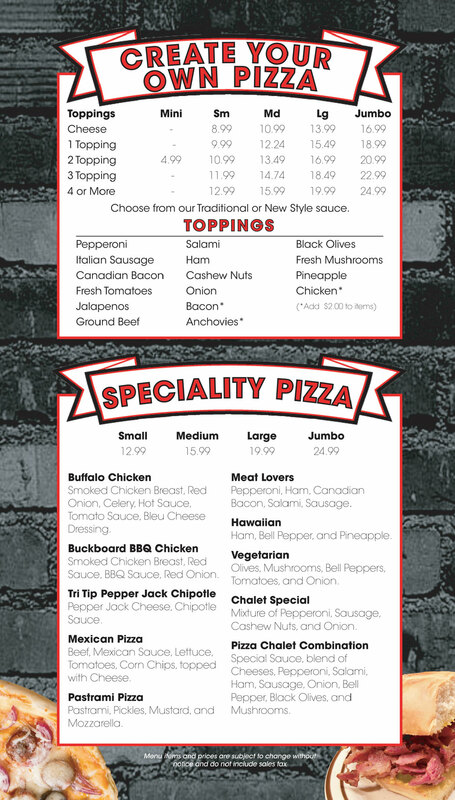 28 new menu items and appetizers 16 Domestic, Premium and Craft Beer on Taps plus a selection of bottle beers and wines. Stop by and visit today! 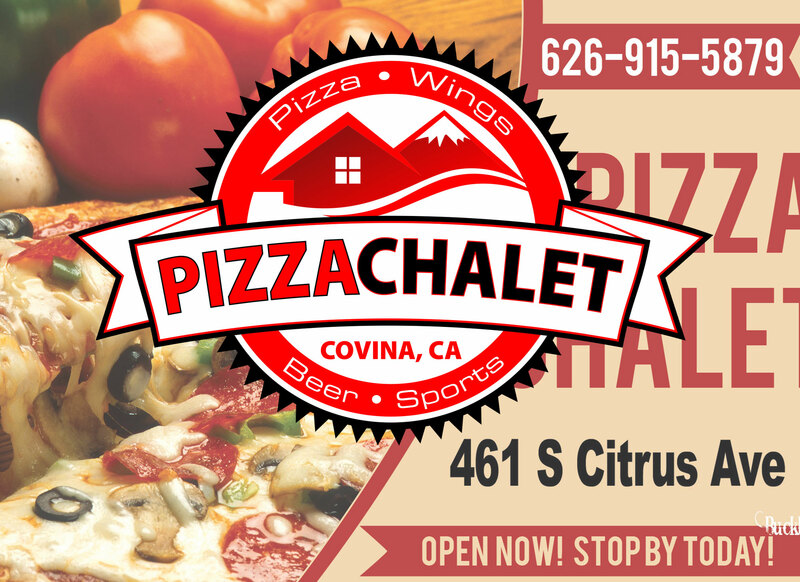 See the new, improved, recently renovated Pizza Chalet Covina and taste "The Best Pizza In Covina"! Try the Best BBQ in Town at Buckboard BBQ & Catering.